If you cannot find a trendy accessory for your business style, here is the best option for you. 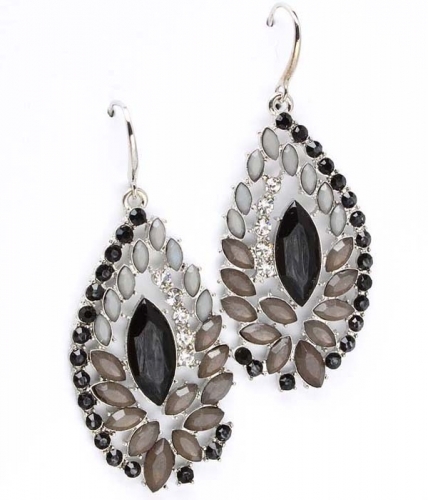 Moderate, elegant, stylish and extremely beautiful, these teardrop earrings are made from almond-shaped crystals and beads of black, brown and ivory shades. Hook fastening. Discover one of Australia's largest jewellery shops right here right now!